We were called to this Otay Mesa swimming pool to diagnosis the old Compu Pool Saltwater Chlorine Generator. 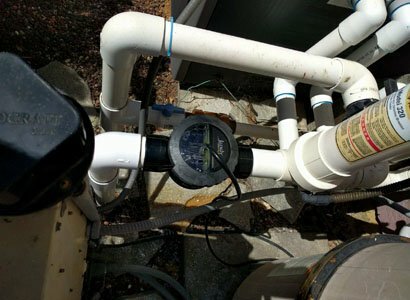 When our pool repair technician started diagnosing, he realized they would need a new salt system installed. This was due to the age of the system and the need to replace the salt cell. There was also a problem with the power center. 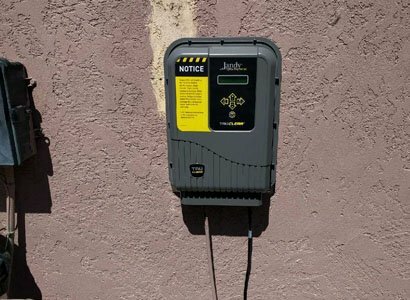 this required the need to install a new salt system for this Otay Mesa customer. This Otay Mesa swimming pool customer wants their pool to be salt water and needed help. They have an older salt water chlorinator that was not producing chlorine. 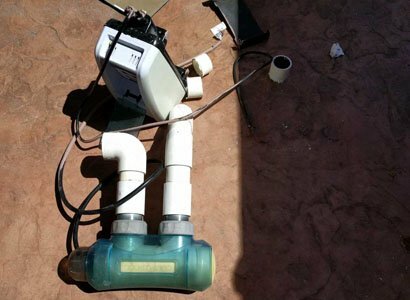 Our pool repair technician explained the problems and age of the old Compu Pool Salt water chlorinator and the customer was ready to fix. We then sent an estimate for the new Jandy TruClear salt system and they were ready to replace the old salt water chlorinator. Our equipment installation and repair technician started by removing the old power center and cutting out the old Compu Pool salt cell. Once the old salt water system was removed our pool repair technician started mounting the new power center and plumbing in the salt cell. Jandy TruClear is a good salt water chlorinator that is more cost effective than others including the cost of salt cell replacements. We look at the cost of the initial Jandy salt water system and the continuing cell replacement costs as others can be much more expensive. Seeing that salt cells have a certain life expectancy, we take all aspects into consideration when recommending a new salt water pool chlorinator installation. Now that we have mounted and wired the new salt system power center, we then power up the unit. This next step ensures everything is working properly. The last step when installing this new salt system in Otay Mesa is to check the salt levels. Depending on the existing salt levels we will add any necessary salt. If you live in Otay Mesa, or San Diego and looking to have salt water, we can help. We install and repair all types of salt water chlorine systems.